This Quick Start Guide is a brief overview of how to form an LLC in Texas. Hi there, my name is Matt Horwitz and I’m the founder of LLC University®. We’ve put together a free guide on how to form an LLC in Texas. We hope you find it helpful! To form a Texas LLC, you can either follow the lessons above (more detailed and step-by-step), or you can follow the Quick Start Guide below on this page (a brief overview). If this is your first time setting up an LLC in Texas, we recommend that you follow the more detailed lessons above. Please make sure to follow them in order. A Texas Limited Liability Company (LLC) is a legal business structure that offers personal liability protection in case of a lawsuit. In the event your LLC is sued, your personal assets (like your home, vehicles, and bank accounts) are protected. You can use your Texas LLC to run a business or you can use your LLC to purchase assets, such as real estate, vehicles, boats, and aircraft. • Before filing your Texas LLC Certificate of Formation with the Secretary of State, you’ll want to make sure that your desired LLC name is available for use in the state. • Your Texas LLC name must be unique and distinguishable when compared to existing businesses registered in the state. • LLC University® recommendation: Even if you search your LLC name on the Taxable Entity Search page and it seems available, it’s still a good idea to call and confirm. Texas used to be extremely strict about LLC names being available. And while they have changed their laws and loosened their restrictions, the reason most LLC filings are rejected is due to name issues. It’s best to call just to be sure. And if you call early in the morning, there’s barely any hold time. • Your Texas LLC name cannot include a designator that makes it sounds like a different type of legal entity. For example, you can’t use Inc, Incorporated, Corp, Corporation, LP, LLP, Non-Profit, or Non-Profit Corporation, etc. in your LLC name. • We see this all the time: People rush the LLC naming process, form their LLC, then want to change their name 3 months later. While you can do this by filing an Amendment with the Secretary of State, it’s important to know a couple things. First, that costs $150, and second, you then have to update your LLC name everywhere else: the IRS, the Comptroller, the bank, debit/credit cards, online registrations, etc. It’s just a pain. It’s better to spend more time and think of a solid LLC name from the start. For naming tips, check out how to come up with a good business name. • The Texas Secretary of State requires you to list a Registered Agent in your LLC Certificate of Formation. • A Registered Agent in Texas is a person or company who agrees to receive notices, legal mail, and court documents (called “service of process”) in the event your LLC is sued or involved in a court case. • Your Texas LLC’s Registered Agent must have an actual physical street address located in the state where service of process and other documents can be received. • Who can be your LLC’s Texas Registered Agent? You can be your LLC’s Registered Agent. A friend or family member to be your LLC’s Registered Agent. You can hire a Registered Agent company. Hiring a Registered Agent company is a good idea if you want to keep your address off public records or if you don’t have an address in Texas. • Consent to serve: Whoever you choose as your LLC’s Registered Agent must sign a Consent to Serve as Registered Agent form. This is called Form 401A. • Registered Agent company: If you want to hire a Registered Agent in Texas, our favorite company is Northwest Registered Agent ($125 per year). Northwest has great customer service and has been in the business for over 20 years. Any mail that is sent to your LLC will be scanned by them and uploaded to your online account. They’ll also let you use their office address throughout your LLC filing in order to keep your address off of public records. Special offer: If you hire Northwest to form your Texas LLC ($39 + state fee), they’ll include their registered agent services free for the 1st year. • Filing methods: You can form an LLC in Texas online or by mail. You can also file by fax or walk-in, but we’ll focus on the first two methods since they’re the most common. • LLC University® recommendation: We like the online filing via SOSDirect as the approval time is faster. It’s also easier than doing paperwork and sending a letter. 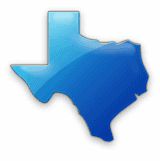 • Texas LLC online: Can be done via SOSDirect. The system is a bit funny in that you have to enter your credit card information first. Don’t worry though. They don’t charge you unless you click submit at the end. This is just to prevent fraudulent filings. • LLC approval time: 2-3 business days if you file online. 5-7 business days if you file by mail. • Approval documents: You’ll get back a Certificate of Filing and a stamped and approved Certificate of Formation. They’ll be returned by email if you file online. And they’ll be returned by regular mail if you file by mail (sent to the Registered Agent’s address). • A Texas LLC Operating Agreement is a written contract among the LLC Members that spells out who owns the LLC and how much of the LLC they own. • Your Texas LLC’s Operating Agreement will also document how your LLC is managed, how profits are split, how taxes are paid, and more. • An Operating Agreement should be in place for both Single-Member LLCs and Multi-Member LLCs located in Texas. Having an Operating Agreement for your Texas LLC helps prove that the company is a separate legal entity from its owners. This helps maintain the personal asset protection provided by your LLC. It’s also beneficial to have this document if you ever end up in court. • Internal Document: An LLC Operating Agreement is an “internal document”, meaning, you don’t have to send a copy to the Secretary of State, the Texas Comptroller, the IRS, or any other state or government agency. You just need to keep a copy of the Operating Agreement with your LLC business records and give a copy to any other LLC Member(s), if applicable. • An EIN (Employer Identification Number) is obtained from the IRS after your Texas LLC is approved by the Secretary of State. • An EIN is also called an EIN Number, FEIN, Federal Employer Identification Number, or a Federal Tax ID Number. They are all the same thing. • It’s helpful to think of your Texas LLC’s EIN Number as its “social security number”. It helps identify your LLC to the IRS for tax and filing purposes. • Your Texas LLC’s EIN will also be used when you open an LLC bank account, register your LLC for taxes, and process employee payroll (if applicable). • How is a Texas LLC taxed: The IRS doesn’t have a specific tax classification for LLCs and instead, a Texas LLC can be taxed 4 different ways with the IRS; 2 of which occur by default (they occur simply by obtaining your LLC’s EIN), and 2 require a special election be made (a form must be filed after you obtain your LLC’s EIN). We recommend reading how is an LLC taxed before applying for your LLC’s EIN Number. • Wait for LLC approval: Don’t apply for an EIN until your Texas LLC is approved by the Secretary of State. • An EIN is free ($0): The IRS will issue an EIN to your LLC at no cost. • Husband and wife LLC: If you are forming a 2-Member husband and wife LLC in Texas you can elect a special type of taxation called a Qualified Joint Venture LLC. This allows a 2-Member husband and wife LLC to be treated as a Sole Proprietorship instead of a Partnership for tax purposes. • EIN Responsible Party: This will be the IRS’s “contact person” when you apply for your Texas LLC’s EIN. If you have a Single-Member LLC, you will be the Responsible Party. If you have a Multi-Member LLC, any LLC Member can be the Responsible Party. For more information, please see EIN Responsible Party for an LLC. • All Texas LLCs, regardless of revenue or business activity, must file a Texas Franchise Tax Report and a Public Information Report (PIR) every year. • Unlike most states, where an LLC Annual Report is file with the Secretary of State, the Texas LLC “annual report” (franchise tax report + PIR) is filed with the Texas Comptroller’s Office. • The franchise tax in Texas is a “privilege tax” for doing business in the state. Part of this privilege includes liability protections provided by state law. • Due date: Texas franchise tax reports are due every year by May 15th. Your LLC’s first franchise tax reports are not due until the year after your LLC is formed. For example, an LLC formed in August 2019 wouldn’t file until May 15th, 2020. • Welcome Letter: A few weeks after your Texas LLC is approved by the Secretary of State, you’ll receive a Welcome Letter from the Comptroller’s office. You’ll find your LLC’s 11-digit Taxpayer Number. This isn’t your federal Tax ID Number. This is a Texas Taxpayer Number. • Franchise Tax Questionnaire: In your Welcome Letter, you’ll also find an FQ number, which you’ll use to complete the Franchise Tax Questionnaire. This can be done online via WebFile. Once your questionnaire is submitted, the Comptroller’s office will issue you an XT Number. You’ll use your 11-digit Taxpayer Number and your XT Number when filing your franchise tax report & PIR each year. • No tax due: Over 90% of LLCs in Texas fall under the “no tax due threshold” of $1,130,000 in annualized total revenue. In that case, they file a report, but don’t pay any tax. The report they file is called the No Tax Due Report (Form 05-163). • The form number for the Public Information Report is Form 05-102. • The No Tax Due Report should be filed online via WebFile. When filed online, the No Tax Due Report includes the Public Information Report. WebFile combines them into one interface. • If your LLC has more than $1,130,000 in annualized total revenue, you can file via the EZ Computation method or by using the Long Form. The EZ Computation tax rate is 0.331% of total revenue and doesn’t allow for deductions. The Long Form tax rate is 0.375% of taxable margin for retailers and wholesalers, and 0.75% for all other businesses. • In summary: Texas franchise tax can be quite involved. This is just a brief overview. For further details, please see our Texas LLC franchise tax page. • State business license: Texas doesn’t have a statewide general business license. While you will need to check with your local city/town, most cities in Texas also don’t have a general business license. Texas is following through with their business-friendly approach here. • WebFile: You can get a sales tax permit for your LLC online via WebFile. There is no charge. • Tips on preventing telemarketing: The sales tax permit asks for a phone number. It’s not a good idea to use your actual cell or home number as you’ll get a ton of annoying marketing calls. Check out Phone.com or Sonetel. You can get a pretty cheap phone number and use it as a “voicemail only” number. • Resale Certificate: Your Texas LLC can use a Resale Certificate (Form 01-339) to buy goods for the purpose of resale without paying sales tax. Form 01-339 can be downloaded from the Resale Certificate FAQ page. • Need some help? If you’d rather rather not make the calls and do the research, you can use IncFile. • 3 “levels”: It’s helpful to think of taxes on 3 levels: federal, state, and local. • No state income tax: Texas residents don’t pay personal state income tax. However, LLCs in Texas are responsible for filing franchise tax reports and collecting sales tax (if applicable), as mentioned above. • Federal income tax: Most LLCs in Texas (with default tax elections, owned by U.S. persons) are “tax-reporting entities” with the IRS and not “tax-paying” entities. Meaning, because default LLCs are pass-through entities, the LLC owners report and pay taxes on their personal US income tax return (Form 1040). – If you have a Single-Member Texas LLC that is foreign-owned, you have to file Form 5472 every year. – If you have a Multi-Member Texas LLC that is foreign-owned, you don’t have to file Form 5472, but you do have to file Form 1065 every year. • Single-Member LLC: If the LLC owner is an individual, the Texas LLC is taxed like a Sole Proprietorship by the IRS. If the LLC owner is a company, the LLC is taxed like a branch/division of the parent company. In LLC/Sole Proprietorship taxation, income is most often reported on a Schedule C, although a different Schedule may be needed depending on how the money is made. • Husband & wife LLC: Because Texas is a community property state, if a husband and wife own an LLC and file their taxes jointly, they can elect to be taxed as a Sole Proprietorship (instead of a Partnership). The IRS calls this a Qualified Joint Venture LLC. • Multi-Member LLC: A Multi-Member Texas LLC is taxed like a Partnership by the IRS. In LLC/Partnership taxation, the LLC files an informational return; Form 1065 Partnership Return. Then each LLC Member gets a K-1 which reflects their share of profits. The K-1 then becomes a part of the LLC Member’s personal 1040 income tax return. • Taxed like a Corporation: If a Texas LLC doesn’t want the default treatment from the IRS, it can elect to pay federal taxes like a Corporation. An LLC can elect to be taxed like a C-Corporation, although this isn’t very common. An LLC can also elect to be taxed like an S-Corporation, which is more popular because of self-employment tax savings. The S-Corp election only makes sense once an LLC has a certain amount of net income. For more information, please see LLC taxed as S-Corp or LLC taxed as C-Corp.
• Other taxes: While Texas doesn’t have a personal state income tax, depending on your business industry, your LLC may be responsible for other taxes. Some examples are battery sales tax, crude oil tax, mixed beverages tax, natural gas tax, tobacco tax, and more (see all taxes and fees in Texas). While these don’t apply to the majority of our readers, you’ll want to check with an accountant to make sure your Texas LLC meets all its filing obligations. • Local taxes: You’ll also want to ask an accountant if your Texas LLC is responsible for any local taxes (city, town, etc.). This varies depending on where your LLC is located and where it’s doing business. • In summary: Taxes can be quite complicated. This is just an overview. For more information, please see our Texas LLC taxes page. It’s also best practice to work with an accountant. • Once the IRS has issued an EIN Number to your Texas LLC, you can open a business checking account. • It’s best practice to have a business checking account for your Texas LLC in order to maintain your personal liability protection. Using a personal bank account for your LLC is called “commingling of assets” and this can lead to personal liability issues if you end up in court. • Having a separate business bank account for your Texas LLC also makes record-keeping easier for accounting and tax purposes. Tip: Call the bank ahead of time and double-check what documents are required. • LLC Members: If you have a Multi-Member Texas LLC, all Members that want to be on the bank account should be present when opening the account. • Debit card: Most banks will provide a business debit card on the spot after the bank account is opened. If not, they’ll usually mail the debit card within 1 to 2 weeks. Instead of giving out your cell phone number (or home telephone number), it might be a good idea to get a separate business phone number for your Texas LLC. We recommend getting a phone number from Phone.com. They have the most affordable plans and good customer service. You can get a local Texas telephone number or you can get a “1-800” number for your business. Phone.com lets you setup call forwarding to any number you like, create pre-recorded messages, and you can get your voicemails sent right to your email. Getting a separate phone number for your Texas LLC is also a good idea if you’d like to keep your actual phone number off of those annoying “public record” websites. Another option is Sonetel. Sonetel is cheaper than Phone.com, but setting up the account can be a little more tricky. And the support at Phone.com is a bit easier to get a hold of. I’m looking at forming an LLC in Texas. I’m aware of the $300 filing fee, but is there any other one-time or annual fees for LLCs in the state of Texas? Hey Pat, there is no Annual Report in Texas (well, sort of)… there is the Annual Franchise Tax & PIR (Public Information Report). The fee is $0, but you still need to file the report. However, depending on your gross receipts, you may owe franchise tax. This is not all your taxes though, so you’ll need to speak with an accountant. Hope that helps. Question if I have a LLC and I am a 1099 employer and we don’t make alot as a business do we still owe franchise tax in Texas ?? I have stablished a LLC in 2015 and I never used it I meant I have done any business on it and I haven’t file any taxes for 2015 and 2016 and I haven’t paid any fees to state of Texas. So what should I do to keep my LLC up to date with the Texas State requirement? Hi Hayat, you’ll need to file your “No Tax Due” Franchise Tax & PIR (public information report) with the Texas Comptroller for 2015 and 2016. I recommend calling their office (800-252-1381) after the Thanksgiving holiday to see if there is anything else needed. Hope that helps. I have found your LLC information very helpful. I am planning on retirement at the end of the year. I was looking into family trust, revocable trust, irrevocable trust and I’m not sure on any of them for shielding our family properties Medicare if ever needed. I’m thinking of a LLC instead, what do you think. Would a LLC shield from Medicare and other hospital or long term nursing care in the future? Please email me when you can, for I plan to begin setting up something very soon! Hi Herb, thank you for your comment. Regarding retirement and Medicare, I am not 100% sure regarding this one. We’ll look into this. Apologies I could not be more helpful. Can the attorney general (child support) take any money from the business account ? I’m not sure. As a general rule of thumb though, no one can just “take money” without authorization. So you’d either sign off giving someone authorization, or there need to be a court order. Hey King, I think you may be slightly misled. You mentioned “since it is the only company in the LLC”. That does not make any sense, since the LLC is the company. Additionally, why are you filing a DBA? It is not a requirement when forming an LLC. You only need to file a DBA if your LLC will be doing business under a different name. Example: ABC Company LLC d/b/a The Corner Store. But, you can just form an LLC called “The Corner Store LLC” and you don’t need a DBA. Does that help at all? I know this stuff can get a tad confusing. Thanks for all the content – You’re truly amazing! Can I refer to my business as “ABC Company” if my LLC is named “ABC Company, LLC”, or must I always include the “LLC” when referring to the business? Will I need a DBA in the case where I want to drop the “LLC”? To give you context, I plan to always include the “LLC” in contracts and any formal documentation, but would like to simply use “ABC Company” on social media, website, print, verbal, etc. Hey Lyndon! Thank you! You should be using “LLC” across print, website, etc. You want to let those who you are dealing with know they are dealing with an LLC. If you want to drop the “LLC” as mentioned in certain places/mediums, it’s best to register a DBA (aka Assumed Name) for your Texas LLC. Hope that helps! thank you for putting this all together! So useful. Is it true? You mentioned that federal taxes are paid together with personal tax return, and this one happens once a year, no? I am confused. Hey Roza, the details are more complicated than that and I wouldn’t look for the answer online. If you’re self-employed and expect to owe $1,000 or more in annual taxes, then you most likely need to file quarterly. I recommend you speak with a few accountants though and then hire one for help with all of your taxes, federal, state, and local. You can read our How to Find an Accountant guide. You can also reference this quarterly estimated payments page on the IRS’s website. Hope that helps. We will form a LLC in Texas. Two of my patterns reside outside USA. Will be a problem put none USA addresses as in the Certificate of Formation? Hi Ana, you can list non-US addresses in the Governing Person boxes. That is allowed. Hello, I read your article on not forming Delaware LLC. (by the way: which was a good read and detailed) – what are some of your other suggesstions than for assest protection, (since really thats the reason majority of people choose those 3 states) currently have a Tx LLC , multi member (other biz partners) what are some easy or less complicated methods we could implement instead of the Delaware,NV, Wy LLC. Another thing to consider is forming an LLC in Wyoming or Delaware and have that being the parent company of your Texas LLC. Your parent company isn’t doing business in Texas, and it can add another layer of protection. Matt, thank you for the TX LLC filing education. It’s been extremely helpful! Following the instructions on the Operating Agreement, we are creating a LLC for real estate rentals owned solely by husband/wife in TX. Do we list the tax classification as “sole proprietorship” or “qualified joint venture”? Also, do we need to file IRS Form 8832 to formally elect our classification? Hi Jared, no, you do not need to file Form 8832 to elect either of those classifications. An IRS Qualified Joint Venture is a husband and wife (who reside in a community property state and who file taxes jointly) who file taxes as a Sole Proprietorship (as opposed to a Partnership). So the question is actually QJV vs. Partnership taxation. You’ll need to speak with your accountant about the pros and cons specific to your situation. Whichever you end up choosing can be done via the IRS online EIN application. First of all I appreciate you sharing all this information. I am a Sole Proprietorship and I already have a DBA (Texas) and EIN. I am planning to change to an LLC most likely as a solo LLC. My question to you is if the EIN I already have can be used with the new LLC or I have to get a new one? Hi Abel, it’s best to get a new EIN for the new LLC to avoid any confusion. When you say section 8b, do you mean in IRS Form SS-4? If so, there is not a checkbox in 8b. Can you re-phrase your question? Which section are you asking about? Yes, you can file the LLC online. You’ll need to mail or fax your EIN application to the IRS. You can form your Texas LLC yourself or hire a lawyer. Whichever you are more comfortable with. I really like your articles and instructions. Thank you very much for your work. I’m planning to have an LLC with my brother. We want to form a 2-member LLC with manager-managed. My brother will manage the LLC and I will be a silent member. In this case, should I only disclose my brother’s name as the manager in Governing Person 1? Then where should I disclose my name? I also wonder where I should list the operations and business of my LLC: in Article 4/supplemental provisions or somewhere else? Hey Kat, since your LLC will be Manager-managed, you’ll check off A (“will have managers) in Article 3 (Governing Authority) and you’ll list the Manager, which is your brother. You and your brother’s name will appear in the Operating Agreement, the document that controls the LLC. Please send us a message via our contact form and ask for our Manager-managed Operating Agreement as the current one we have in the Texas lesson is for Member-managed LLCs. If you’d like to learn more about Member-managed vs Manager-managed, please see this article. The default purpose for Texas LLCs is “general purpose” (any and all lawful activity), so you don’t need to list the LLC’s business activities in the Certificate of Formation. I currently have LLC formed in Nevada and I filed foreign LLC in Texas. My LLC is doing real estate investment only in TX. I would like to move my LLC to TX what should I do. My annual fee for Nevada is overdue by 1 day. I just don’t want keep double paying 2 state annual fee. Thank you so much. I love your blog. Hey Jade, thanks for the kind words! I hear you. Nevada’s fees are cumbersome. You can actually convert your Foreign LLC into a Domestic LLC. You can find instructions here. Once the conversion goes through, you can then dissolve your Nevada LLC. Hope that helps! I currently have a sole trader company in Houston. As I am concerning the risks with sole trader company, I wanna to convert it to a LLC company. Do you have any ideas how to convert it? or Maybe I just close the sole trader company and set up a new LLC company? Hi Ita, good call on converting the Sole Proprietorship to an LLC. I’d read this first: convert Sole Proprietorship to LLC. Then follow our Texas LLC course. Hope that helps! Hi, first off thank you for your help on these topics! I want to know how to go about setting up a dba after an llc is formed or if i do it at the same time as filing for the llc? Will there be a fee? My business will operate in Texas. Thank you! Hi Layla, you’re very welcome. Yes, there is a fee for filing a DBA. First, could you tell me the LLC name you filed (or plan to file) and the DBA you’d like to use? I just want to make sure you actually need a DBA, since many people are confused. It’s hard to answer your question without knowing some more details. Thanks. Matt you have no idea how happy I am to of found this site. I really appreciate your articles and how you respond to each question asked. Hi Robyn, I’m so happy to hear :) And I very much appreciate your comment! Much appreciation for the wealth of information. Thank you. Have XYZ business currently running in WA state as a one man business providing onsite services to customers. Want to move to TX, can I do administrative work from TX for the business in WA, without worrying about double taxation? Do I have to register the business in TX as well as a foreign company? Hi Mike, you’re very welcome! When you say “Want to move to TX”, do you mean you are planning to move to Texas? Yes, I’m the one moving to TX but the business will continue to operate in Seattle. I’ve employees there. Hi Mike, this is tough to say for sure as “transacting business” in Texas can be loosely interpreted one way or the other. To save space, please see my reply to Anna’s comment below where I included the relevant state statutes. My reply to her is a few down from this. Hope that helps. Thank you for the information. Shall go through the links provided. You’re very welcome Ping! Thanks for the nice comment. Can you make an edit stating that if you’re a veteran you might be eligible for the Senate Bill 1049 benefits? Hi Allen, we’ve updated the Certificate of Formation section with information for Veterans. Although it’s a brief overview, it does link to the relevant forms and instructions from the Texas Veterans Commission. We’ll soon be creating an entire step-by-step lesson specifically for Veterans, however, if you have any questions in the meantime, please let us know. Thanks again for your comment! If someone is a single member owner LLC owner in the state of Wisconsin and the single member lives out of state (say, Texas) – do you need to file as a foreign agent in the state the single member lives in – even if they are not doing business in the state that they live in for the company? Hi Anna, you’re very welcome! What is means to “do business” (called “transact business” in Texas) is usually never clearly defined (on purpose). However, Texas law does spell out what it means to not transact business. We cannot interpret this for you, but there is a good chance that if you’re working from home and running the business from Texas, that you are transacting business in Texas. Again though, we cannot provide a definite answer to this and I recommend calling a few attorneys in Texas to get their opinion. Please see the following chapter of the Texas Business Organizations Code: http://www.statutes.legis.state.tx.us/Docs/BO/htm/BO.9.htm. Section 9.251 defines what it means to not be doing business. Sections 9.051 and 9.052 define the penalties of not registering as a Foreign LLC (if you need to register as a Foreign LLC). I hope this helps. Hi Matt, I will be checking the links you shared. Thank you so much for your feedback! Hi Matt. Really appreciate your website and feedback. I’m an independent business consultant and my wife is a realtor. We want to form a new single LLC in Texas, with both of us partners in the LLC. I’ve come up with a business name for the LLC that I would really like to use as it represents my services well but the wife is not to keen on it for realty services. Can we set her business up as a different DBA that she likes under the LLC? What about if I also chose to setup my business under a separate DBA under the LLC, can we have two separate DBA’s under the same LLC? If the answer to all of this is yes, will we only have one Federal EIN for the LLC that we give our customers? Will our customers have to cut checks payable to the LLC or can they cut checks payable to the DBA’s also? Should we setup only one business bank account for the LLC or have one for each DBA? Your help is greatly appreciated! Hi RFK, you’re welcome :) Yes, an LLC can register/own multiple DBAs. Yes, you’d have one EIN for the LLC. Yes, you can open separate bank accounts under each DBA. And yes, you can accept checks payable to the DBA. Having said all that, I would not recommend merging both you and your wive’s business activities under one LLC. This sounds like two completely different businesses. Separating them from a liability standpoint will be beneficial. And from an organizational standpoint, you’ll remain more sane. This isn’t a hard rule, so you’re welcome to do whatever you’d like of course, but I wouldn’t proceed down this path. Hope that helps. What do I need to do to add a member to a LLC? I am In Houston, TX. Hi Rafael, we recommend speaking with a legal professional on this in order to properly document things. Here’s the overview. Review your Operating Agreement to see if there are already terms as to how an LLC Member is added. Create and sign a Resolution of LLC Members (just you) agreeing to the new Member coming on and agreeing to file a Certificate of Amendment with the Texas Corporations Section. Create either a new LLC Operating Agreement or amend your existing one, showing the new LLC Member being added, their contribution to become a Member, how much of the LLC they will own, and any other terms of the arrangement. File a Certificate of Amendment (Form 424) with the state. Then file Form 8832 with the IRS changing your LLC’s tax classification from Sole Proprietorship to Partnership. In addition, you may want to speak with an accountant regarding having your LLC taxed as an S-Corp. This typically only makes sense once your net profits are substantial enough to justify the extra costs and time with an LLC filing taxes as an S-Corp. I also recommend reading how LLCs are taxed. Hope that helps! Hi Matt, thanks for all the great information. I have an ongoing interest in investing in real estate and want to have each property in its own LLC. How can I build credit as an ongoing borrower if each property is in its own LLC? Is each LLC essentially starting from scratch? Thanks! Hi Rich, you’re very welcome! If you’re referring to building your personal credit, then your assumption is correct. Getting a mortgage in the name of your LLC will not report on your personal credit report. Hope that helps. I am planning to form LLC in Texas state. From one of your answers in the Q& A session, I read this: “The default purpose for Texas LLCs is “general purpose” (any and all lawful activity), so you don’t need to list the LLC’s business activities in the Certificate of Formation”. If in case, I would like to do the IT consulting, Training, Media & entertainment activities ….does all this come under general purpose? or do I need to list them under the special provisions in the application? Hey SJK, yes, IT consulting, training, and media & entertainment would all fall under general purpose, however, if you’d still like to list them in your filing, you certainly can. Hope that helps! Hi Hathorn, bummer about the situation. There isn’t a quick black and white answer to this as there isn’t an Operating Agreement and there is a disagreement in place. I’d work with a lawyer if needed, or maybe just threaten to sue and that’ll get your partner to cooperate. Might be best to dissolve this LLC and start a new one fresh, with just yourself as Member. Now it does sound like you’re the Member and you appointed your partner as Manager, again, however, with no Operating Agreement in place, it’s just messy. Hope that helps. Is the process for forming a PLLC the same, or is it a different form? Hi Kay, the process is very similar, except using Form 205, you’ll use Form 206, Certificate of Formation for Professional Limited Liability Company. Hope that helps. Awesome information within your site! For me, I’m attempting not to be overwhelmed with the all the fab info – the blogs have great questions, which are some of my own. 1. Do I actually need a separate name and EIN for the WBE? 3. am I making the process to complex, and they are basically one in the same and I “simply” need to go a step further, once the LLC is approved by the state and register as a WBE? 4. When will your site have the information for Veterans who are establishing LLC’s be available? Thanks again for all the education and sharing your knowledge with the world! Hi Cannan, thank you! You don’t need a different LLC name for the Women’s Business Enterprise Alliance (WBE) Certification. You would first form the LLC and then wait for it to be approved. Send in your Certificate of Formation along with the Veteran documentation in order to have the $300 filing fee waived. Then after the LLC is approved, complete your LLC Operating Agreement and get an EIN. Then you will apply for the WBE Certification. You’re correct… think of the WBE as a “layer” that sits on top of your LLC. I’m not sure of the exact date, but making a separate lesson for Texas Veteran-owned LLCs is on our to-do list. Thanks for your understanding. And you’re very welcome!! Love all of this info…I am starting a new online ecommerce business in Texas. I want to do an LLC, but I will have different product lines and different online stores. So, I can do the LLC under ABC Company, but do I need different DBA’s underneath the LLC to be able to sell the different product lines? For instance, ABC Company (small product name here) to differentiate the type of product being featured. They would also have different domain names and websites, but could possibly roll up to ABC Company with one click. As well, is there any additional info I need to know during formation if I am planning at some point to import products from China? Selling to anyone around the world? This can all be overwhelming, but I just want to set it up correctly in the beginning and not have to correct mistakes along the way. Thanks in advance. Hi Cali, in terms of LLC formation in Texas, nothing different needs to be done for importing products. However, there are likely certain business licenses and/or permits you need, but that’s not something we cover right now. You can operate under one LLC as each product line doesn’t need to be it’s own business. That would likely be very challenging from an organizational standpoint. And you don’t need DBAs, since product names are not “doing business”. It’s simply just a product. Next time you’re at the store, take a look at toothpastes for example, and you’ll see multiple different products lines all from the same legal entity. Hope that helps. Hey Matt! thanks for the free info, but I have a few questions. if a lawsuit is filed against anyone of my businesses per say, will the others’ assets be at stake? Hi Antonio, you’re very welcome. No, if someone is sued personally, then only that person is being sued, not you. Hope that helps. I currently have a 2 member LLC in Texas. We would like to bring on a few more members and I plan on having an operating agreement drafted at that time as well (we currently do not have one). I would like for the new members to have equal share of profits, but they would not be involved in day-to-day activities, so I would like for the 2 existing members that are active in day-to-day activities to receive a salary in addition to their share of profits. Is this setup possible without completely restructuring the business and applying for a new EIN. We are 5 years in and pretty well established. Thanks in advance. Hi James, you don’t need a new EIN, since the EIN is “attached” to the LLC, not its Members. However, you’ll want to amend the Operating Agreement and likely hire an attorney for help, since from what you’ve mentioned, it sounds like the LLC will now be Manager-Managed. Additionally, you’ll want to make sure you have a professional to dive into the details with. If you are changing the management of your LLC, you’ll also want to file a Certificate of Amendment with the Secretary of State. We have a related article here: Member-Managed LLC vs Manager-Managed LLC. I also recommend speaking with an accountant to make sure continuing to have your LLC taxed as a Partnership is the best setup. Hope that helps. I don’t believe a member of an LLC can receive a salary (unless the LLC is taxed like an S-Corp or C-Corp). Like Matt said, your new setup will likely require a Certificate of Amendment and an update to the Operating Agreement. If I get an LLC for my Texas consulting business, will it cover me if I do business with out of state clients? Hi Craig, yes, it will. Hope that helps. Hi Nikki, no, that’s not correct. An LLC doesn’t have to have a DBA. You’ll simply be doing business under the name of the LLC. We have more details on that here: do I need a DBA for my LLC? Hope that helps! Thanks, Matt you and your video’s have done me a great service, I totally understand and these comments helped me out as well. I can now put these processes into motion as I have printed any forms needed for further filings, thanks again for your kind intelligence to help empower others to become successful business owners. Hi Lena! Thank you for the lovely comment and kind words. It’s very appreciated. Best wishes with your business! Is it this easy? I can fill out these forms and BOOM! LLC? Makes me nervous, even though I want to DIY my business. Fill out the forms 205 and 401 and done? Then EIN? Seems like there is more to it. Am I missing anything? Hey Sandy, yup! Forms 205 and 401 and BOOM, LLC! Then Operating Agreement and EIN and you’re ready to open a business bank account and it’s off to the races. Then we recommend working with an accountant annually to file your taxes and file your Public Information Report. Hope that helps and best wishes with your business! I have filed a LLC for my company (in answer to my own question: YES! It’s that easy. Thank you for the great articles and info). My question: My company, let’s say ABC, LLC, is a media company (writing products, etc). I have a registered url where I have been writing for years (a lifestyle site) and I am wondering if it can be a “product” of the new LLC, even though the url is a different name. Or do I need two llcs? Thanks for the great job providing the information for forming LLCs. Hi John, you’re very welcome! I just emailed that over to you. Thanks. I continue to learn from your website and very much appreciate the great effort you put into educating us readers. My CPA is advising I should use the SMLLC classification since Texas is a community property state and the only planned members are my wife and myself. My Certificate of Formation reflects “managed by managers.” Do I need to formally change to Managed by members” and can you provide guidance for the appropriate operating agreement? Hey John, so great to hear! Correct, if you’d like your husband and wife LLC to be taxed as a Sole Proprietorship, you’ll need to make a designation with the IRS either when applying for your LLC’s EIN or afterward. We have instructions here: Qualified Joint Venture LLC. You’ll also want to change your Operating Agreement. Instead of being owned 50% by John Doe and 50% by Mary Doe, change it so it reads John & Mary Doe owning 100%. Husband and wife LLCs in community property states can be treated as “one unit”. It seems to make most sense to have the LLC Member-managed, so yes, I would file the Certificate of Amendment changing the management of your LLC. Hope that helps! Hi Matt! Your website has been such a blessing to me while I am getting started with my business. I have filed all the paperwork and my PLLC is now showing up as a registered name! YAY, it’s mine!! Now I am on the EIN step. My question is can I use the Texas taxpayer number for my business or do I use my personal SSN to obtain my EIN? Hi April, thanks for the compliment and congratulations on your PLLC! No, you can’t use your Texas Taxpayer Number to get an EIN for your LLC. There are three ways to get an EIN: online, by mail, or by fax. The online application is the fastest method (immediate approval), however, you can only apply for an EIN online if you have an SSN or ITIN. We have instructions here: how to apply for an EIN online. For anyone else reading this who doesn’t have an SSN or ITIN, you can still get an EIN from the IRS, however, you will have to apply using Form SS-4 and send it to the IRS by fax or by mail. We have instructions here: how to apply for EIN without an SSN or ITIN. Thank you for clarifying that for me. I was able to get my ein online with no issues! If I own a Texas LLC, (I) Can I do import/export business with Asia (II) Receive and pay money through my business bank account opened under Texas LLC? Hey Rafiq, yes, you can import and export goods with Asia and you can receive and pay money through your LLC’s business bank account. Hope that helps. Thank you for the informative article. You stated above that filing a Texas LLC is $0 for a veteran. I plan to form an LLC with 1 veteran and 1 non-veteran. What would be the applicable filing fee? Hi Bob, you’re very welcome! Great question. In order to get the $0 filing fee, all of the Texas LLC Members must be a veteran. Furthermore, each veteran must have been honorably discharged from a branch of the United States military. In your case, an LLC with 1 veteran Member and 1 non-Veteran Member would have to pay the regular $300 filing fee. Hope that helps! What a great article. What is the quickest way I can get an LLC? Meaning fastest turn-around to have it in hand? I’m in a super tight timeline. Thanks Marlene! Forming your LLC online through SOS Direct is the fastest option. SOS Direct automatically “expedites” the LLC filing by default (nothing needs to be selected and no extra money needs to be paid). The approval time is 2-3 business days. There is no faster LLC approval option in Texas (even if you were to hand-deliver the Certificate of Formation to the Corporations Section). Hope that helps. Hi, i’m trying to convert a real estate company that is currently a sole proprietorship to an LLC in Texas. I know i have to file form 205(certificate of formation) to form the LLC. I’m just trying to figure out how to get the contracts from my sole proprietorship over to the LLC legally. Would the LLC have to purchase the Sole proprietorship or how would that work? i would like to not invalidate the contracts. Hi Nate, contracts are intangible assets, and most are assignable (unless they state otherwise). So you can assign the contracts from yourself to the LLC. Additionally, as a part of your capital contribution listed in your LLC’s Operating Agreement, you can also state that you are assigning and transferring your contracts to the LLC and then list them (ex: name of party and date signed). You could also briefly mention them and then stick the contract details in an attachment/exhibit to your Operating Agreement. Hope that helps. I recently setup a two members managed LLC & Fed Tax ID number 3 months ago. However we have not used the LLC yet due to fall out on a real estate deal. One of the member decided to not be in the business and I have found a new partner. What is the best way to add a new member and remove the original member? By the way, I setup the LLC with nortwest registered agent. It was smooth transaction. Thank you! Hey John, awesome – glad to hear that :) If the Member was listed in the Certificate of Formation, then you’ll want to file a Certificate of Amendment (Form 424), removing the old Member and adding the new Member. You’ll also want to amend your Operating Agreement. Additionally, it’s advisable to draft an LLC Resolution and an Assignment of LLC Membership Interest Agreement. Hope that helps! I am a veteran, and I see that there is a waiver of the initial fee ($300). My question is, if I am starting a business with my wife, will we still qualify for that fee wavier if both our names are owners? Hi Dirk, in that case, you wouldn’t be eligible for the fee being waived. Reason why is that all the LLC Members need to be veterans in order to qualify. Hope that helps and thank you for your service! I am looking to obtain a TX LLC for real estate investment purposes only. Would I have to pay taxes on any of the profit? I read some where that I would have to pay 0.5% but I wasn’t sure if that was for LLC that sell actual products/services or real estate as well. Thanks! Hi KJ, you’ll need to run this question by an accountant. Thanks for your understanding. Hi Matt, you’ve got a lot of great and helpful information up here! I’m hoping you can help answer my question. I’m from Texas and am interested in forming a one member LLC. My plan is to be able to teach music courses to students online (strictly only online). I’m hoping to expand my online business in order to reach students from other states as well as possibly getting some international students. I really want to get started, but I’m not sure what licenses I would have to file for since I understand that online businesses work a little differently, and what tax forms I would have to file for also. Thanks! Hi Kate, you don’t need any state business license, since there isn’t one in Texas. You may need a license in your city, town, or county, but it’s not that likely for your business. Having said that, we recommend calling your city/town/county to check anyway. However, don’t let that stop you from forming your LLC first. You can sort that out at a later step. It’s probably a bit overwhelming to figure that all out before forming your LLC. In terms of tax forms, you’ll want to work with an accountant for that. Hope that helps! I live and reside in PA but 90% of my customers are based in TX. I am not sure if I should establish the LLC in TX or PA. I can use LegalZoom for the TX setup. What else do I need to do to operate in TX? I am selling services. Additionally, would I need to set up DBA’s in each of the other states where my current/future customers are located? Hi Jeff, are you visiting Texas or working from Texas often? What kind of services? It comes down to where you’re doing business, which is a gray area. It has more to do with where business is being done vs. where customers are. You don’t have to create a DBA for your LLC, unless you want to. You can just operate under the LLC’s name. Please see Do I need a DBA for my LLC. A DBA in PA is filed at the state level while a DBA is TX is filed at the county level. I echo everyone’s sentiments and repeat awesome job here with the detailed answers. Here is my question. I live in Texas and have real estate investments in Arkansas. I already filed and pay my yearly fees for Arkansas since 2016. I also wanted to create a holding/parent company that will manage my LLCs for Arkansas as well as one that I plan to start here in Texas. Questions. Can or Does the holding company need to be based out of Texas to hold the assets for both Arkansas and Texas? Do I have to move my LLC from Arkansas to Texas even though the physical real estate is in Arkansas and pay a foreign LLC fee? Can a parent company own LLCs in multiple states? Is it worth having a parent company that owns different LLCs or just let the LLCs own themselves? My home office in Texas will serve as the address for Texas LLCs and i have another address in Arkansas for my Arkansas LLC. Note, all of this is/will be setup as sole ownership. Thank you in advance for your help. KM, thank you. There’s a lot here, and likely a lot more to be uncovered. Something like this is best discussed with a real estate attorney. If helpful, it sounds like you’re thinking of an out-of-state holding company, say Wyoming. You could set up a Wyoming LLC and you’d then have to assign your interests in your Texas LLC and your Arkansas LLC to your Wyoming LLC. This way, you don’t own the TX and AR LLC, but the Wyoming LLC does. That’s a very high-level overview of a common holding company setup. Hope that’s helpful. Hello Matt! You do great job and your sessions are very helpful. I am going to get a professional real estate inspector licence and thinking of PLLC as sole proprietorship, just because some people says it is better than LLC for inspectors. I am not clear why and would appreciate if you could advise the differences other than being a Licensed professionals requirement for PLLC. Thank you and Happy Holidays! Hi Jahangir, thank you! Be careful with the use of your words. “PLLC as Sole Proprietorship” is not how it should be phrased. It’s a PLLC with 1 Member, therefore it’s taxed like a Sole Proprietorship by the IRS. Licensed professionals are held to hire standards and most state laws don’t allow licensed professionals to avoid liability simply by forming an LLC, therefore, there are PLLC requirements. Hope that helps. If you’re forming an LLC that will be 100% veteran-owned, your filing is free. Please see Texas veteran LLC instructions.